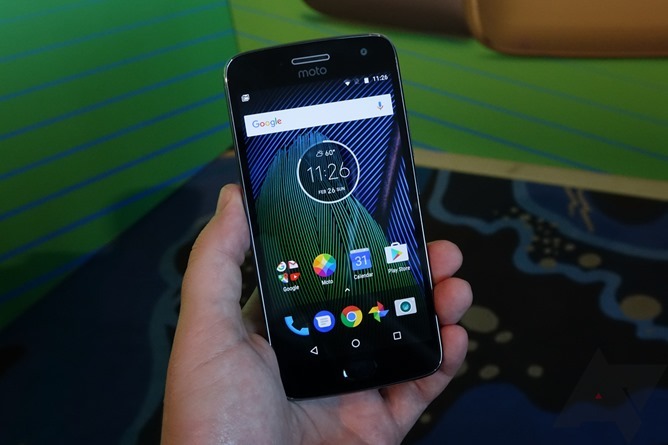 The Moto G5 Plus renews Motorola's commitment to providing a premium smartphone experience at a fraction of the cost of more expensive flagship phones. 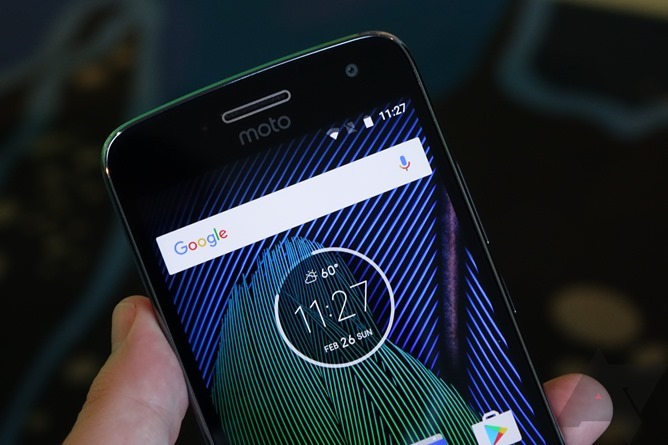 Starting at just $229 here in the US for the 2GB/32GB, you get a super-efficient Snapdragon 625 processor, 5.2" 1080p LCD, micro SD slot, Turbo charging, fingerprint scanner, and Android 7.0 with Motorola's very light skin. All in all, once again, it seems like Motorola's brought the value with the G series, and I spent some time with the G5 Plus here at MWC yesterday. My initial impressions are largely positive: the new aluminum frame is sturdy, the phone feels plenty quick, and Motorola's UI remains as close to stock Android as you can get this side of a Google Pixel. But there are some cracks in the façade that I think I'd be doing you a disservice not to mention. 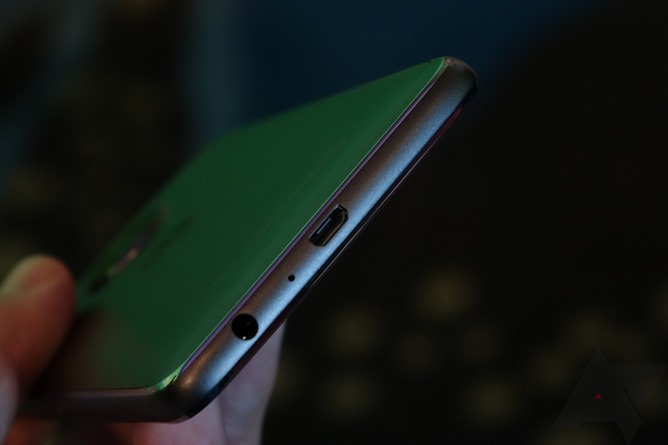 First, the G5 Plus won't have NFC in the United States, because reasons. I strongly suspect that reason is simply that Motorola would rather you, you flush US consumer, spend your hard-earned dollars on something like a Z Play if you really want contactless payments. It's just silly at this point: include it. Second, the G5 Plus is still using microUSB in 2017, which is annoying because basically everything is switching over to USB-C now. This feels like the kind of Lenovo penny-pinching I'd expect to see at the "new" Moto, because it certainly doesn't gel with the Moto G's product directive of offering modern smartphone features at a lower price point. 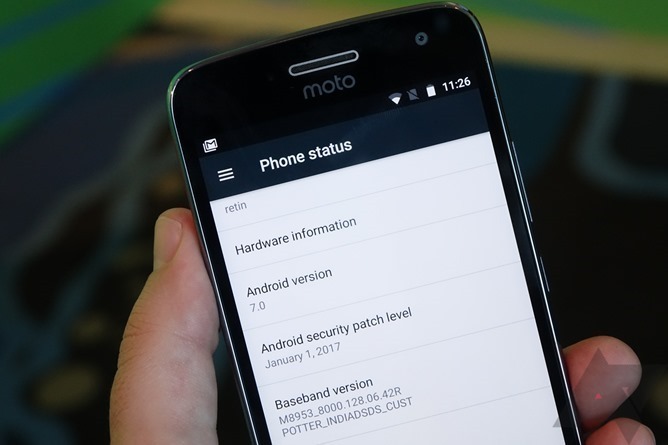 And third, Android 7.0 is not the latest version of the operating system - Android 7.1 is what these phones should be running out of the box, full stop. Aside from these complaints, however, my impression is that there is much to like about the new G5 Plus. It has a launcher that looks a bit like the one on Google's Pixels, with a swipe-up app drawer, and offers the same clean Motorola software experience we've come to know and love. Performance seemed smooth (I would hope so with a 1080p screen) with no unexpected jank that I could detect in my time playing with the handset. The new aluminum frame is definitely a step up from the plastic enclosures of the G4 and G4 Plus which, quite honestly, were the worst part of those phones. The G5 Plus feels very rigid and solid in hand, whereas I could easily flex the old G4 Plus by simply pressing down on it hard. Some may argue it would have been better to keep the plastic and add in more features like NFC for all markets, USB-C, or better speakers, but I think with so many Chinese manufacturers offering metal-body phones at these price points Motorola really had no choice. It was a question of keeping up with the competition. The one major thing I haven't mentioned yet is the camera: Motorola claims it's going to blow away anything else close to this money. It has a f/1.7 aperture lens and dual-pixel autofocus (just like the Galaxy S7), meaning it should offer excellent low-light performance both in terms of light gathering and focusing speed and accuracy. I didn't have time to do anything other than grab some throwaway snaps at Moto's event, so I can't really tell you much about the camera at this point, but capture times did seem quick and the app felt responsive. The one thing I really don't love abut these new Motos is the design. 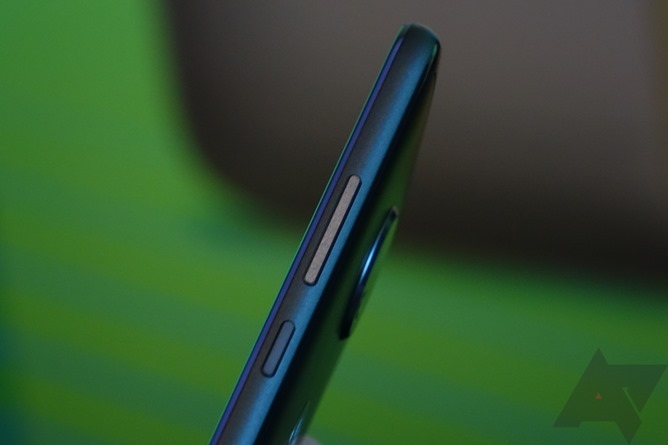 You've got fairly bland bodies on the back with large seams between the plastic antenna window in the center and the aluminum frame that wraps around the top and bottom of the phone. 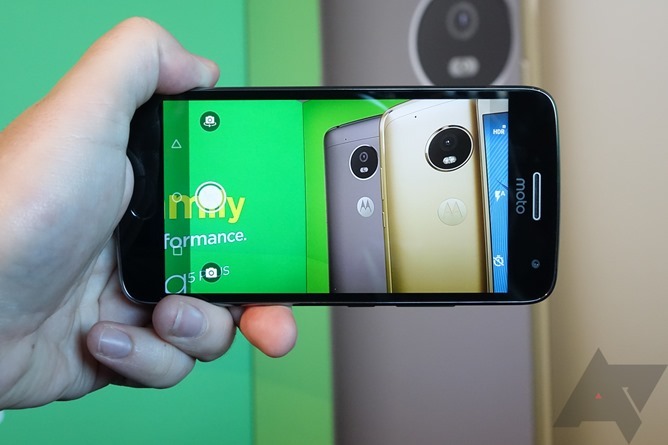 And smack in the middle of it all is that tremendously ugly camera module - save it for the Mods, Moto. 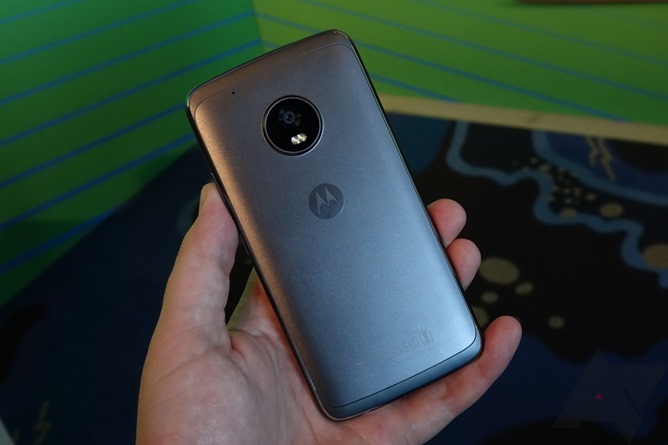 The front isn't very striking, either, and Moto's logo below the contrast earpiece cutout just makes these phones look a bit cheap, if you ask me. It's not the end of the world, and definitely subjective, but I just didn't fall in love with the new design direction here - I unambiguously prefer the G4 series in this regard. Anyway, we hope to be spending a lot more time with the G5 Plus in the near-ish future. And, in the meantime, be on the lookout for more of our MWC 2017 coverage.